Approaching Peñasco Blanco from the east on the trail out of Chaco Canyon. View from the great house plaza toward the east. 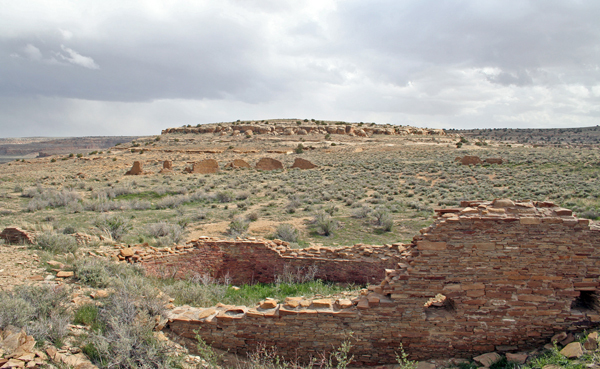 Pueblo Bonito and Pueblo del Arroyo are visible. 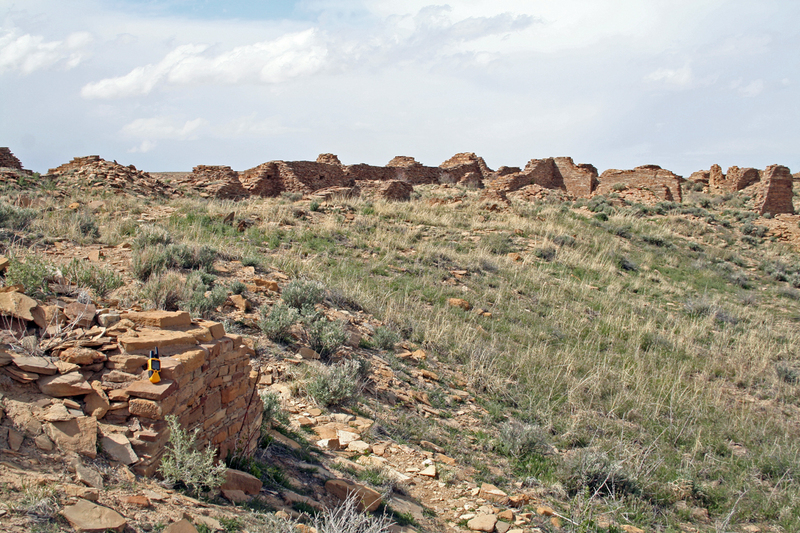 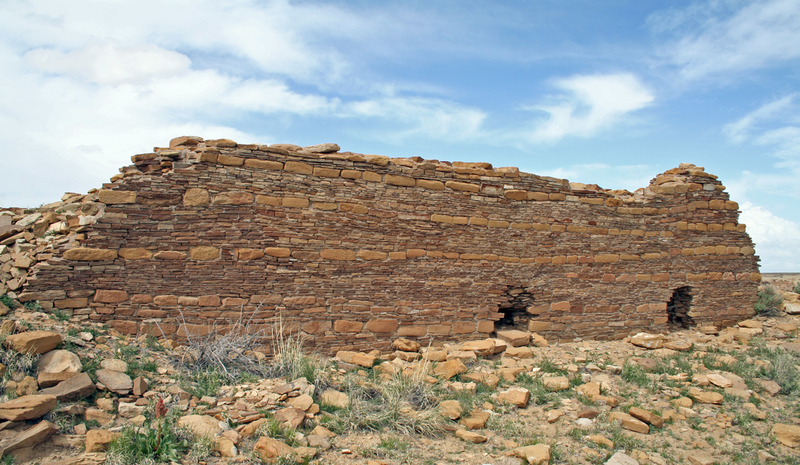 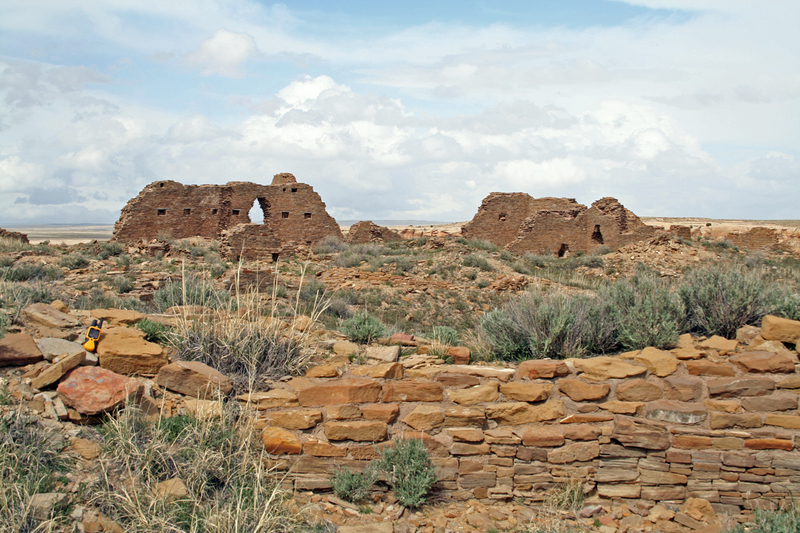 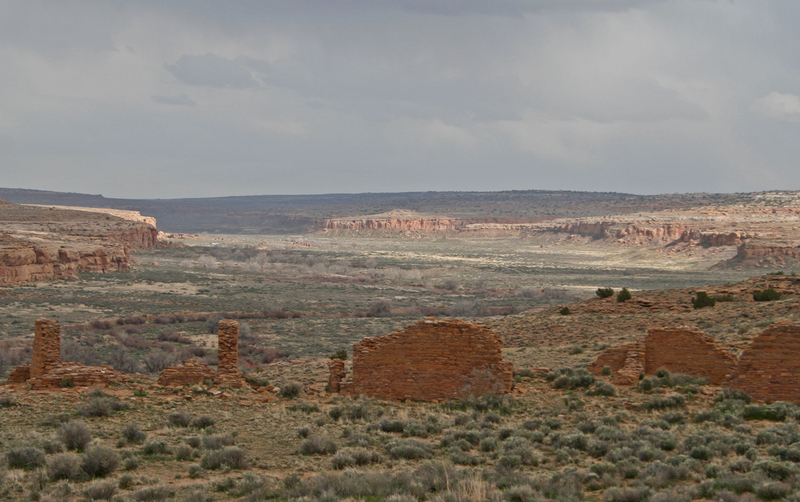 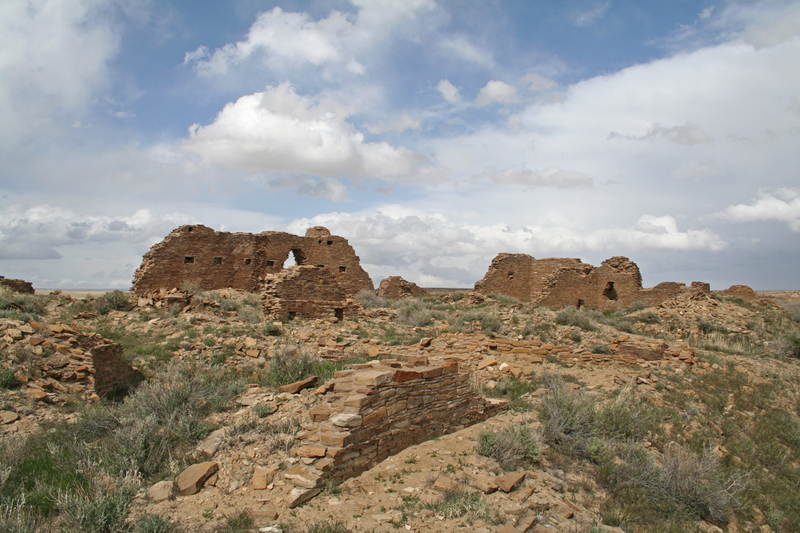 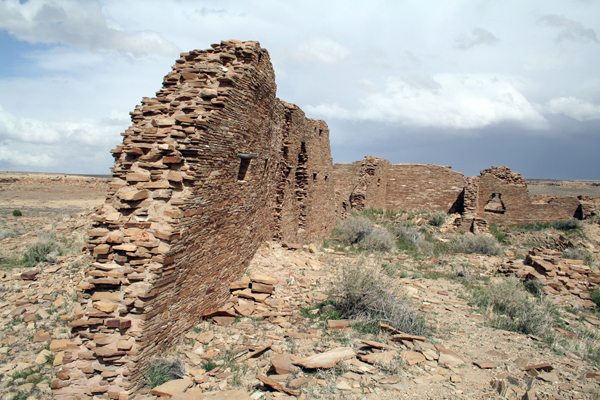 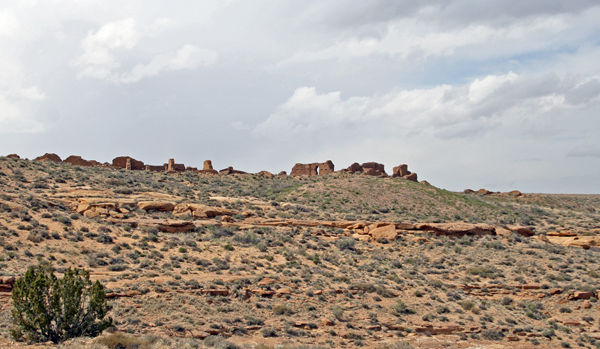 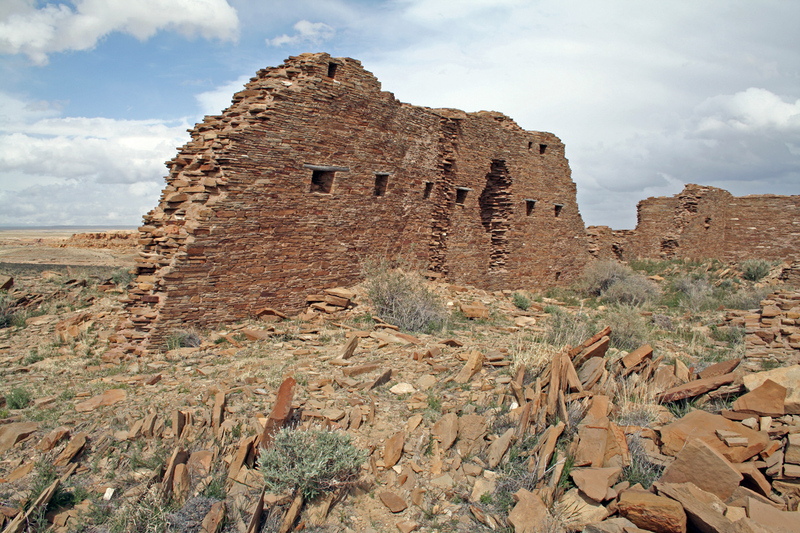 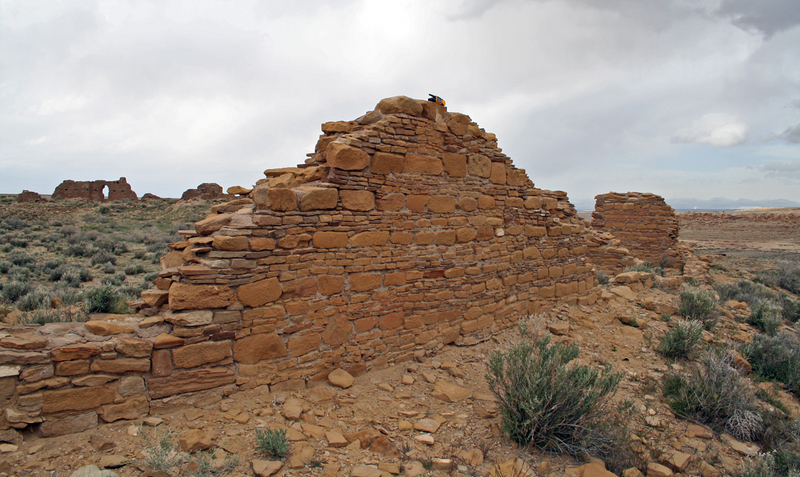 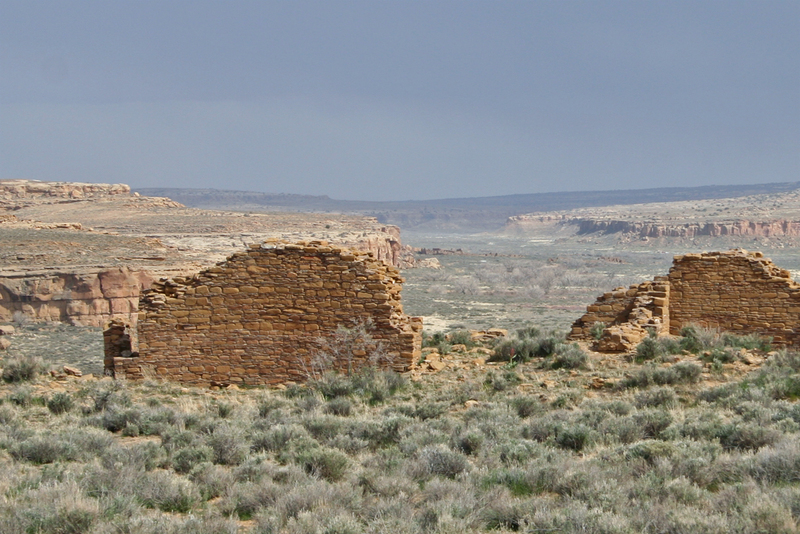 Wider view of Chaco Canyon east of Peñasco Blanco. Largest standing segment of the row of rooms encircling the plaza on the east edge of the ruin. 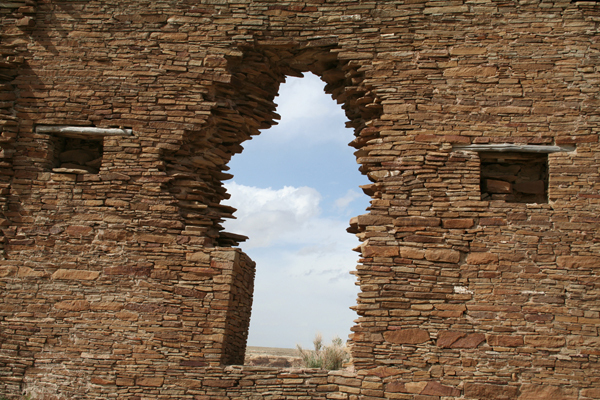 Eroding doorway in one of the largest standing walls. 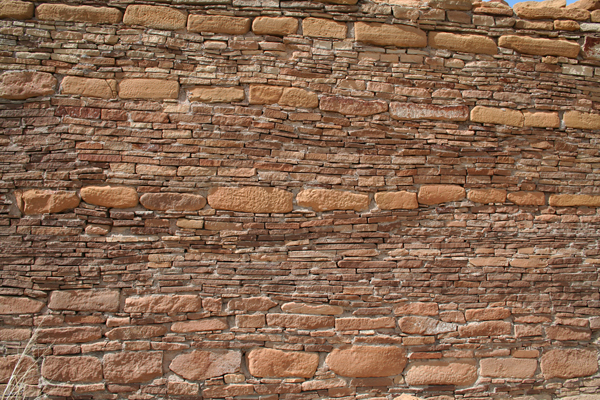 The largest exposed standing wall in in the north section of the ruin. 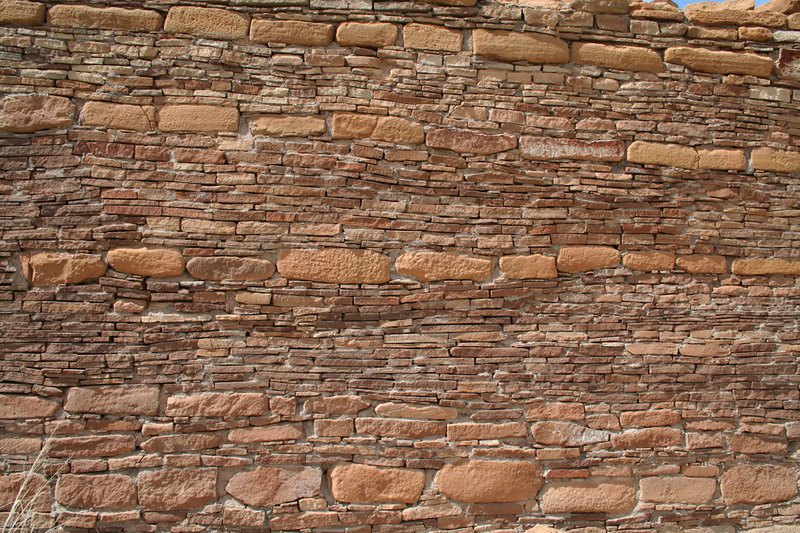 The north wall is precariously leaning inward. 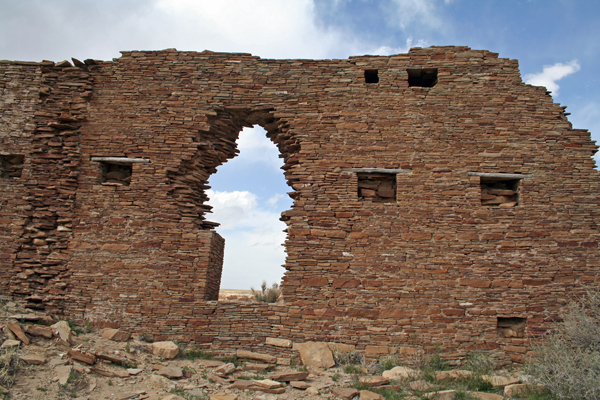 North wall with doorway and windows. 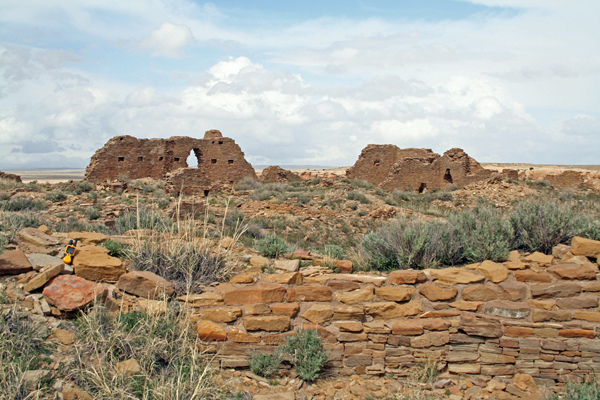 View from the west inside the great house across the plaza to the east walls. 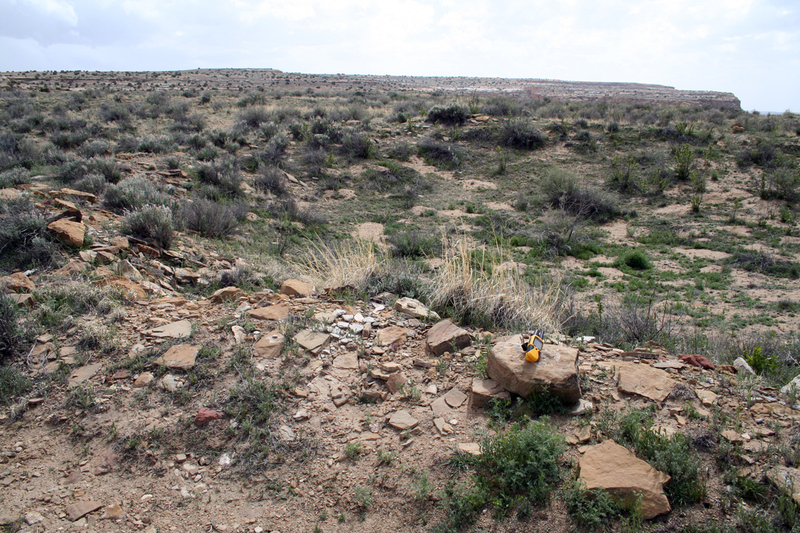 View from the east wall across the plaza toward the north room block area. View from the southeast corner of the room block towards the west side great house rooms. Great kiva depression south of the Peñasco great house (note GPS receiver).